청암사 수도암에 모셔진 높이 2.51m의 통일신라시대 석조불상으로 진리의 세계를 두루 통솔한다는 의미를 지닌 비로자나불을 형상화한 것이다. 민머리에는 상투 모양의 머리(육계)가 작지만 분명하게 표현되었다. 얼굴은 네모나며 풍만하고, 긴 눈·작은 입·평평한 콧잔등에서 위엄있는 모습을 살펴볼 수가 있다. 옷은 양 어깨에 걸쳐 입고 있으며 옷주름은 느슨하고 형식적으로 표현되었다. 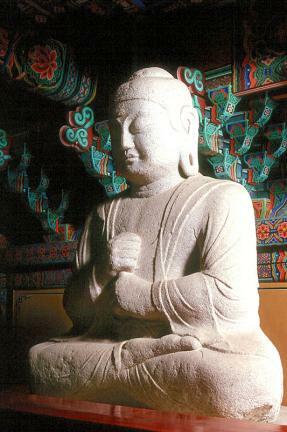 손은 왼손 검지를 오른손으로 감싸고 있는데 매우 사실적으로 묘사하였으며 단정하고 강인한 느낌을 준다. 거구의 불상이면서도 불안정한 모습을 보여주는 것은 특이한 손모양과 함께 당시 시대양식의 반영인 것 같다. 불상이 앉아 있는 대좌(臺座)는 크게 3부분으로 구성되어 있는데 아래쪽은 연꽃을 엎어 놓은 모양으로 8각형을 이루고 있다. 맨 위에는 반원형에 가까운 연꽃이 2줄로 교차되어 있고, 앞면에 3마리의 사자상과 용머리 같은 것이 새겨져 있어 독특하다. 전체적으로 정제되고 균형잡힌 모습을 나타내는데, 위축되고 긴장감이 감소하며 탄력이 줄어든 점으로 볼 때 신라말에 만든 작품으로 추정된다. 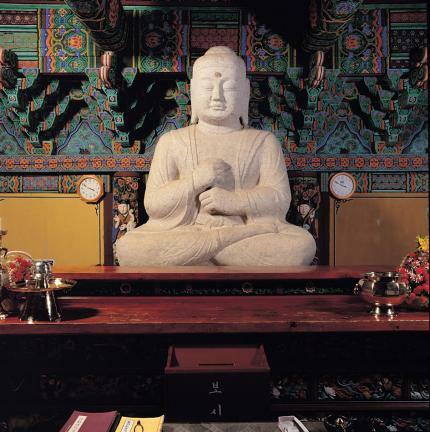 This is a 251 centimeter high seated stone Vairocana Buddha from the Unified Silla Dynasty, preserved in Sudoam Hermitage of Cheongamsa Temple. 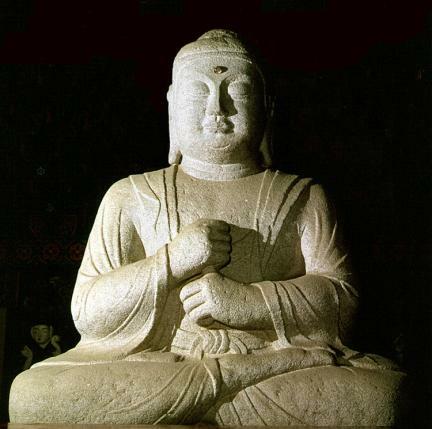 The Vairocana Buddha has the meaning, “to command the whole world of truth”. 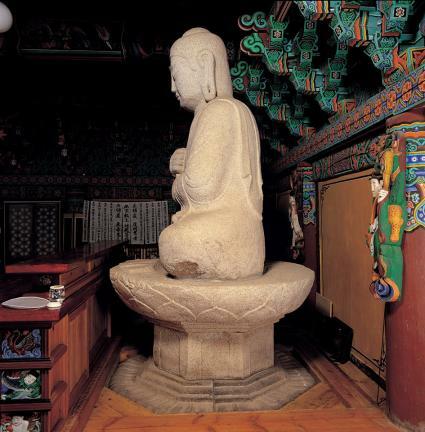 The usnisa (a protuberance symbolizing supreme wisdom), shaped like a topknot on the bald head, is small but clear. The face is square and plump. 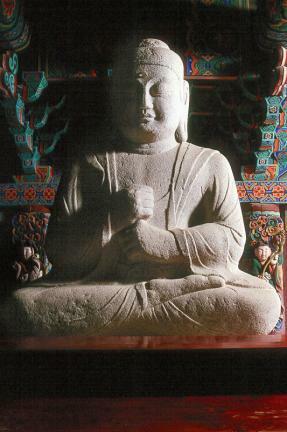 The characteristics of the dignified Buddha statues of the time are apparent in this statue's long eyes, small mouth and comfortable nose. The long ears come down to the shoulders and there are samdo, i.e. the three wrinkles on the neck. 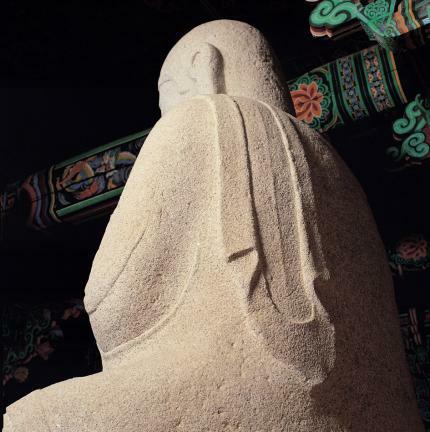 The beobui (sacerdotal robe) that covers both shoulders is simple and the folds in the clothing are loose and formal. 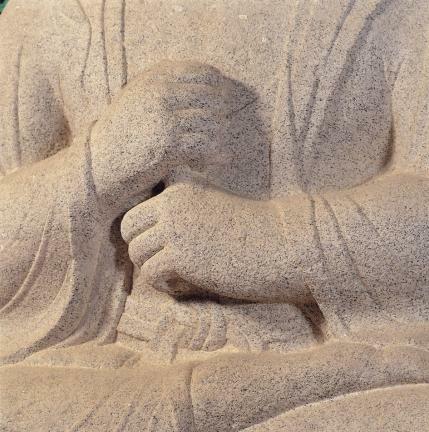 The hands are in the jigwonin position (the mudra symbolizing Buddha and the multitude are one) with the right hand covering the left index finger, which is neat, realistic, and gives a strong impression. 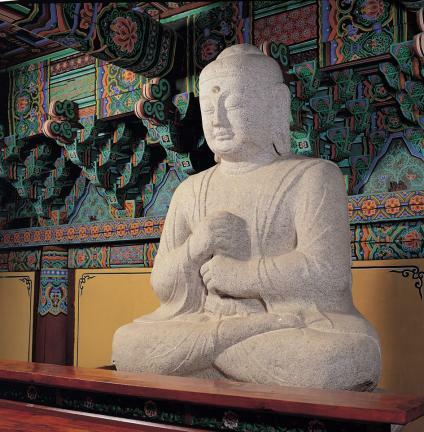 This large but unstable statue reflects the style of the period, together with the jigwonin position of the hands. 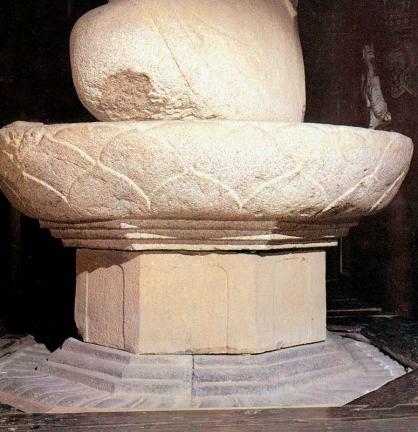 The pedestal is divided into three parts. The bottom part is octagonal with upside down lotus flowers carved on it. 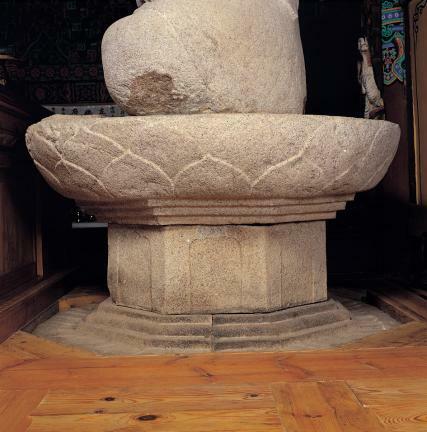 The middle part is 45 centimeter high with octagonal panel decorations. There are two lines of lotus flowers crossing in a half circle at the top. Three lion images and a dragonhead are carved on the front, which is unique. 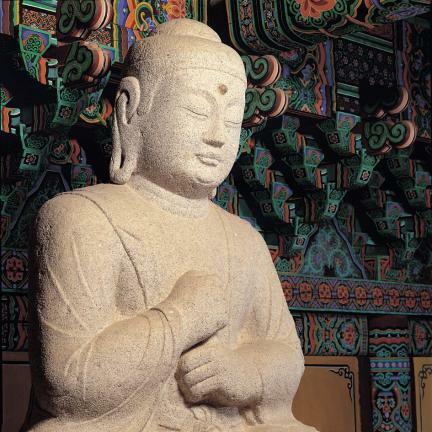 This statue is generally refined and balanced, but it looks withering, less flexible or tense, from which it is presumed to have been made during the late Silla Dynasty.